This charming 3 star holiday home has all modern comforts. The half-timbering and authentic materials add to its strong character. You will feel like you are on vacation right away. Remark : It's allowed to smoke in the cottage. Since one pet is allowed in the cottage, this is the perfect opportunity to bring your dog to go with you on the many beautiful walks that are possible in this area. The holiday cottage is located in the Belgian Ardennes, on the hills between Stavelot and Malmedy. You will enjoy the magnificent view on the valley. To start the day off, nothing beats a good breakfast on the terrace where you can soak up the green view before setting out to explore the region. This old farmhouse can accommodate up to six people. With family or friends, you will have at your disposal three bedrooms and two bathrooms. The kitchen of your charming holiday home in Stavelot opens on to the dining room, so you can enjoy an aperitif while preparing the meal together. The wooden beams give a lot of character to the house. In addition, some walls have been hollowed out to open the spaces. After a day full of walks, excursions, visits, ... or simply relaxation, you will enjoy the warmth of the wood fire in the living room, and you will let the crackling wooden logs rock you. 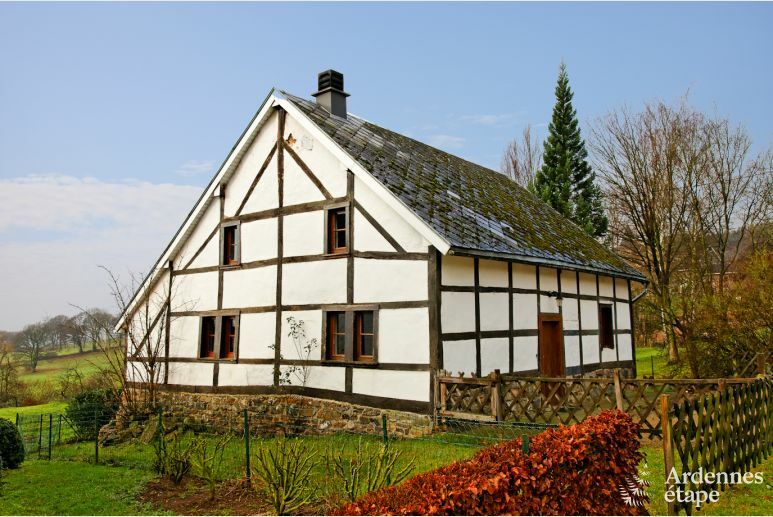 Located in a small hamlet between Stavelot and Malmedy, this cottage is a nice starting point to discover the region. There are several activities nearby to please all tastes. As a cultural outing, we recommend the Abbey of Stavelot. Do you enjoy outdoor sports? Then go hiking or mountain biking. For motor sports fans, you will be close to the famous Spa-Francorchamps Racetrack. And for a fun night out, why would not you go to the cinema to watch a movie at MovieMills or go for a bowling session in Malmedy? If you too want to enjoy some peaceful moments and be in nature, this cosy holiday home in Stavelot is for you: soak up the Ardennes character of the cottage and admire the beautiful landscapes. This old farmhouse will delight your whole group.